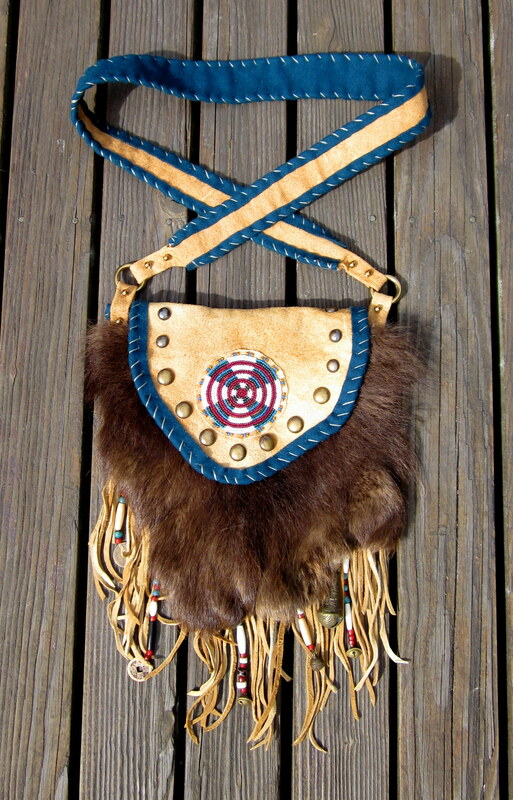 A new “Traditional” bag made from deer skin legs with the hair and dew claws still on. Deer skin, brain tanned deer skin, wool, glass seed beads, brass bits, antique trade era beads, mink tails. Hand stitched in all ways with braided shoulder strap. Size is 20” long x 11” wide. A new “Traditional” bag just finished. I love this combination of materials. Skin, fur, wool and beads. 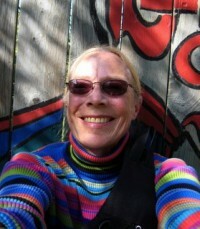 Something about the medium brings up memories and pictures of another life and time. Bison hide, brain tan deer skin, wool, glass seed beads, brass gew gaws, antique trade beads, bone beads, antique coins and bells. Bag size is 15” long with fringe x 11” wide with the center rosette 3.5” diameter. Mix them all together and beauty just seems to happen.